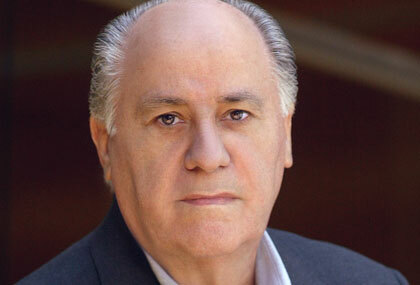 Amancio Ortega, Founder of Zara, is Richer than Warren Buffett! I still don’t have power at my place after the hurricane Sandy, but here is a quick shout-out. Bloomberg just broke the news today that Amancio Ortega, the billionaire founder of the chain Zara, is now richer than Warren Buffett and is the third richest person in the world behind Carlos Slim and Bill Gates! For all those who think bringing fashion to the masses isn’t profitable, think again. This is a pretty big deal for Ortega. He’s been the richest European for a while, but displacing someone as popular as Buffet is something that doesn’t happen often. And to top it all off, he still retains a mystery around him – no one seems to know much about the world’s third richest person. If you don’t believe me, just look at this short stub of an article on Wikipedia about Ortega! What are your thoughts about Zara and Ortega being richer than Buffett (even as Spain reels under massive unemployment now)?